The big drop in inventories of homes for-sale is helping once-expired listings finally get sold. Sellers are finding relisting their properties may offer them more luck now than a few months ago, real estate professionals report. Nationwide inventories of single-family homes, condos, townhouses, and co-ops has fallen about 20 percent in the last year, according to Realtor.com. Inventories are at some of their lowest levels ever observed. Meanwhile, more buyers are coming off the sidelines, wanting to take advantage of record low mortgage rates and low prices, but are finding fewer properties to choose from. As such, some real estate agents are soliciting once-expired listings to convince sellers that they can give them a successful second chance at making a sale. For example, in Atlanta, one broker, who realized the value of expired listings, offered 25 iPads to her real estate agents who brought expired listings from competitors. Many real estate professionals take a listing for 90 days and if it doesn’t sell, then it expires. Several MLSs require that expired listings stay off the market for at least 90 days to prevent agents from continually relisting properties and hiding the actual accumulated days on the market, reports RISMedia. Some agents report that they’ve had some luck at taking an expired listings and then selling them within five days of coming back as a new listing. But others caution it’s not as easy as just relisting the property. Many of these expired listings may need to address possible flaws that may have held them back in the first place — such as not priced right for the market or not in the right condition — before they return to the market, if they hope for a better outcome. I am a local real estate professional with Keller Williams located in the heart of Buckhead, I specialize in Buckhead and several other metro Atlanta neighborhoods. I have lived in Atlanta for over 13 yrs. and have gained a vast knowledge of the market trends through out this great city. I have personally resided in many of the neighborhoods and communities this great town offers over the years. Currently I live in the Buckhead Village and enjoy a terrific skyline view from my condominium. I enjoy my dogs, fitness, interior design and spending time with close friends. But, most of all I enjoy help people start new lives by finding their dream home. My services include helping you find the right home, assisting you in arranging financing, negotiating a good purchase price on your behalf, and handling the details of the transaction to ensure a smooth closing. In addition I work with a vast list of vendors to help cover all your home needs. Should you need painting, cleaning, or decorating needs I am a phone call away and am happy to put you in touch with some of my favorite people to work with. When the time comes for you to purchase a new home or sell and move on, I would appreciate the opportunity to represent you. ICertified E-Pro Member National Association of REALTORS Recently I have worked with HGTV on 3 episodes of the highly rated show “My House is Worth What?” Appearing as the local Real Estate expert assisting people in finding out the true value of their renovations and helping to establish a general price range for listings. “My House is Worth What?” is the number 2 rated show on HGTV after only one year and reaches an audience over 1 million. As well as a featured homeowner on “National Open House”. Are Appraisers ‘Scared’ to Report Rising Prices? Real estate professionals and mortgage loan officers say that appraisers seem to be reluctant to report price appreciation occurring in numerous spots across the nation, and it’s complicating sales transactions, The Real Deal reports. Appraisal problems — where property valuations have come in lower than the agreed-upon sales price — have been an ongoing problem in derailing many real estate transactions the last few years. And despite reports of several markets seeing an increase in their home prices, many agents report that appraisals continue to be a sticking point. Thirty-three percent of real estate professionals say they are continuing to face appraisal problems, according to a survey conducted by the National Association of REALTORS® in May. Low appraisals “in markets that are no longer in decline is the single most important” valuation obstacle to “seeing a real recovery,” NAR President Moe Veissi says. Appraisers may be being overly cautious, not wanting to be accused of potentially overvaluing properties, says Frank Gregoire, an appraiser based in St. Petersburg, Fla., and also a former chair of the Florida Real Estate Appraisal Board. Gregoire told The Real Deal that appraisers fear they may expose lenders to future lawsuits or high-cost “buy-back” demands by Fannie Mae and Freddie Mac. “Appraisers are scared to death” to report rising values, Joseph Petrowsky, owner of the mortgage company Right Trac Financial Group Inc. in Manchester, Conn., told The Real Deal. Petrowsky says the appraisals aren’t reflecting the pick-up in some markets, in which some properties have even seen bidding wars. Dennis Smith, co-owner of Stratis Financial Corp., recalls a bidding war recently in which four buyer offers took the contract price from $350,000 to $375,000, but the appraisal valuation still came in lower the contract price. Nevertheless, the Appraisal Institute insists that appraisers aren’t discounting price appreciation in markets. Appraisers have a professional duty to arrive at valuations that “reflect the market,” whether positive or negative, and also reflect the most recent data, says Sara W. Stephens, president of the Appraisal Institute. Rents are on the rise nationwide and investors are looking to cash in. Local Market Monitor recently reviewed 316 housing markets to find which ones offered some of the highest returns on investment potential for single-family rental properties. The following are the top five markets that emerged from its list as best places to purchase a rental property in the U.S.
My name is Larry , Owner/ Broker of PrimeBuy Real Estate and Associate Broker/ Owner of DreamMakers Realty Group. 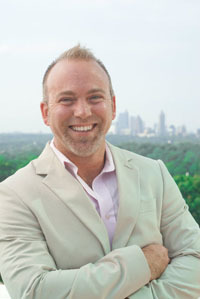 I’m licensed in both Georgia & South Carolina and specialize in residential listings throughout the Atlanta/Metro area. I work with home buyers & sellers, this includes short sales. Please contact me to get information on how to buy a home, sell your home, property values or new Subdivision sales. 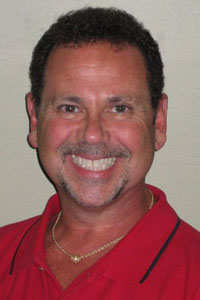 I specialize in residential sales that are either short sales or foreclosures. These types of sales are normally a little more difficult than a standard sale and it takes experience to make it through the process without the hassles ~ I have that experience. For example, in Phoenix, in the “sand state” of Arizona, home prices have been soaring the past six months. Some markets are seeing a decrease in inventory of for-sale homes, which has helped lift home prices in some areas due to an increase in demand but limited supply. But real estate professionals say they’re concerned what will be temporary when banks start releasing more foreclosures to the market. Some have accused banks of purposely holding onto foreclosures to wait for home prices to recover so that they can get higher returns for the homes, but real estate experts are concerned that could stall the housing recovery. However, Mark Vitner, Wells Fargo senior economist, asserts that large banks are not hoarding foreclosures and waiting for prices to perk up. Backing up that assertion, CoreLogic, a market analytics service, reports that residential shadow inventory — which includes foreclosures — fell to 1.5 million units in April, a 14.8 percent drop from the same month one year earlier. Full time devoted Realtor with over 9 years of Real Estate experience and 15 years of sales experience!Carl is a native of Birmingham, Alabama, therefore very knowledgeable of all areas. Carl sells Real Estate in all areas Birmingham and surrounding cites and counties. He represents both buyers and sellers in all price ranges. When you are buying or selling property in today’s real estate market it’s important to have confidence in your real estate professional. Carl’s commitment as your local REALTOR is to provide you with the specialized real estate service you deserve. Residential Single Family – Resale and New Construction Also list and sells Condominiums, Townhomes and Lofts. Works with Investors looking to purchase or sell Rental Properties. I can help make your re-location to the Birmingham area a smooth transition. Contact me with any questions.